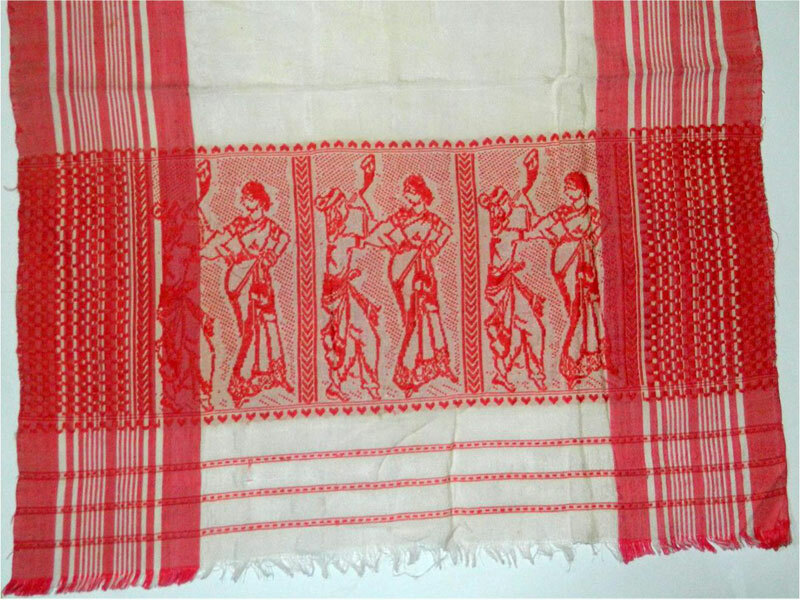 Gamusa has a great significance in Assamese culture and tradition. 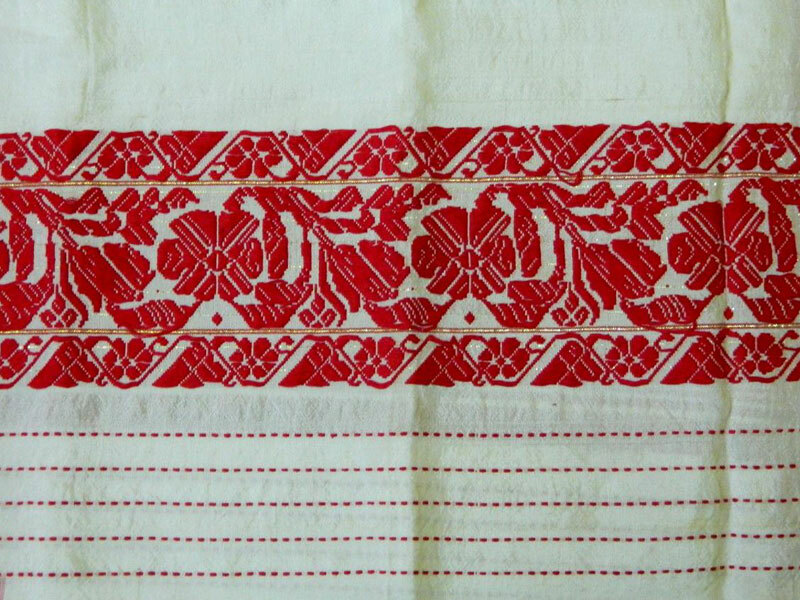 It is a unique identity of the society. 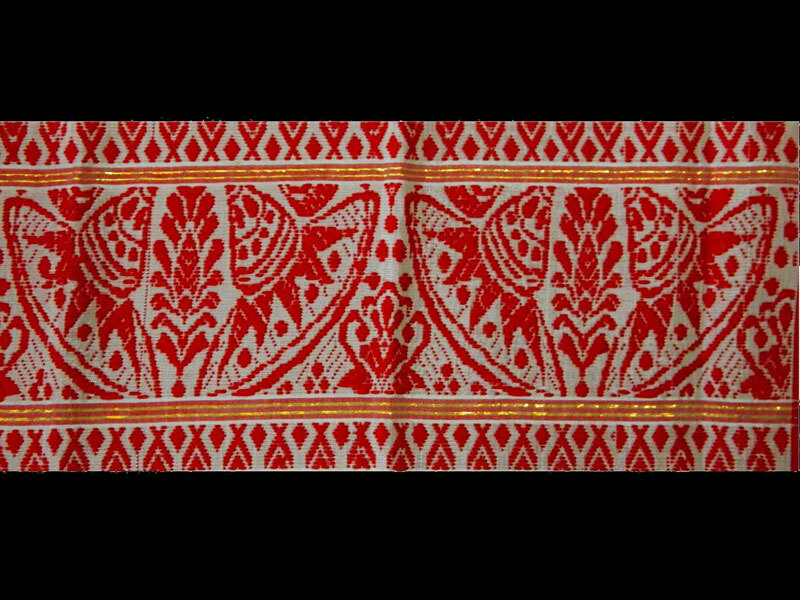 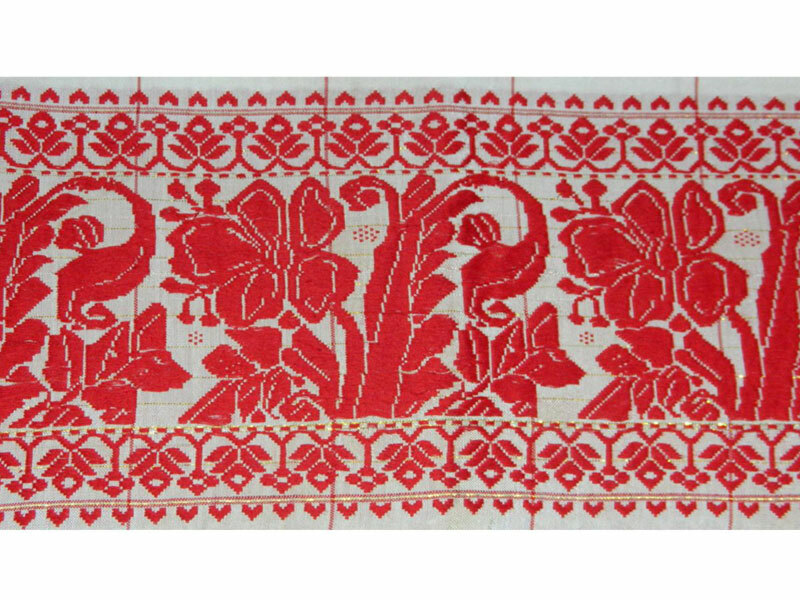 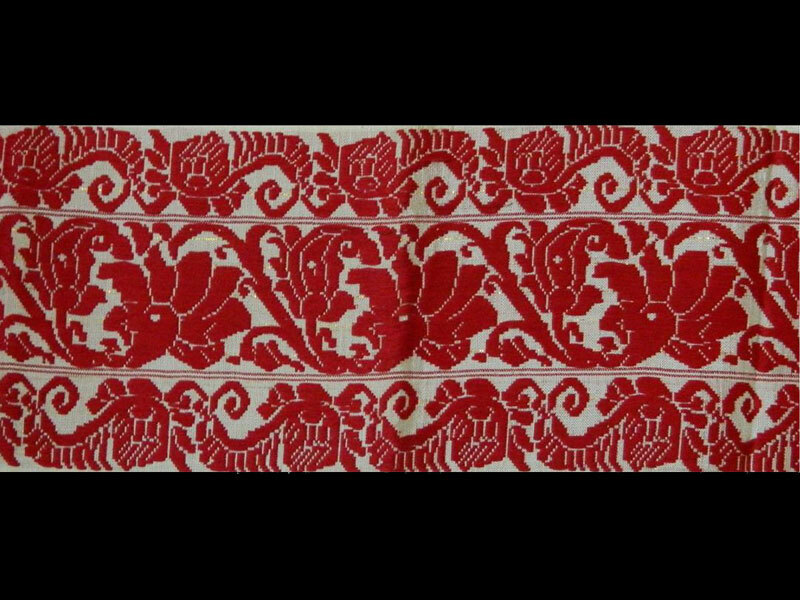 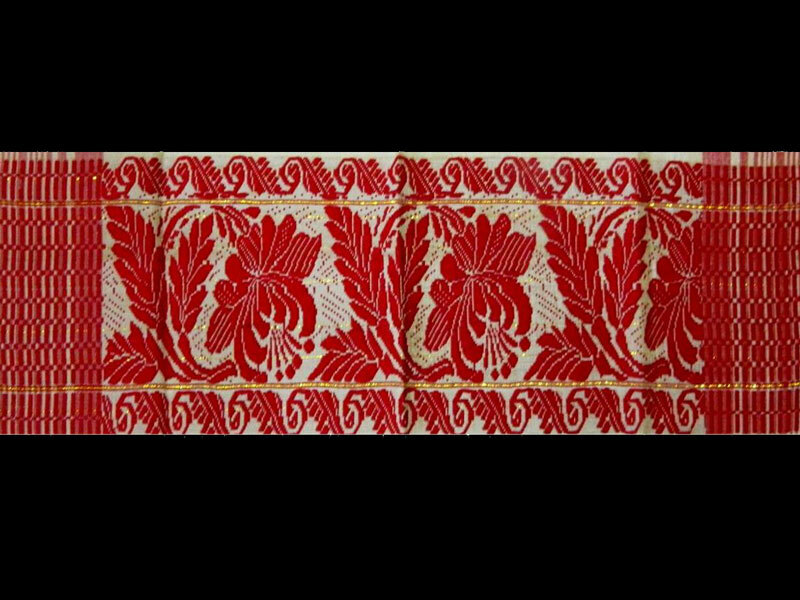 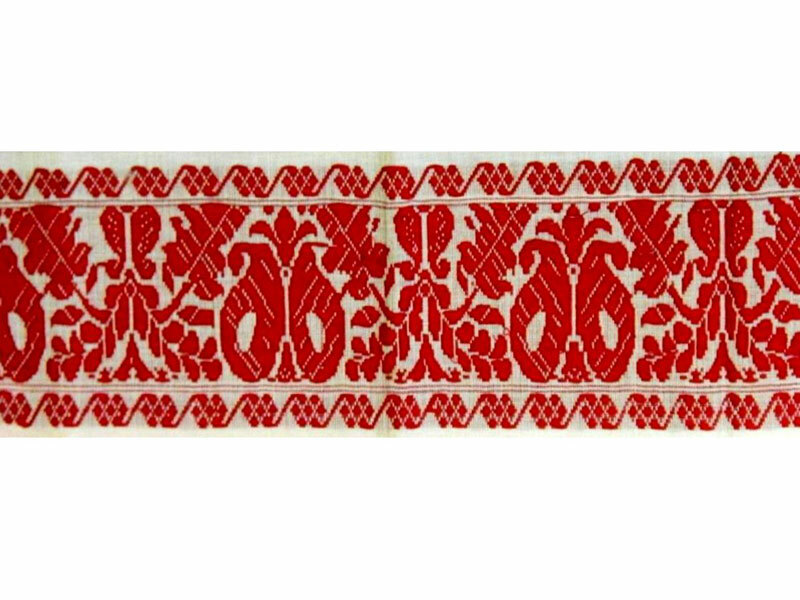 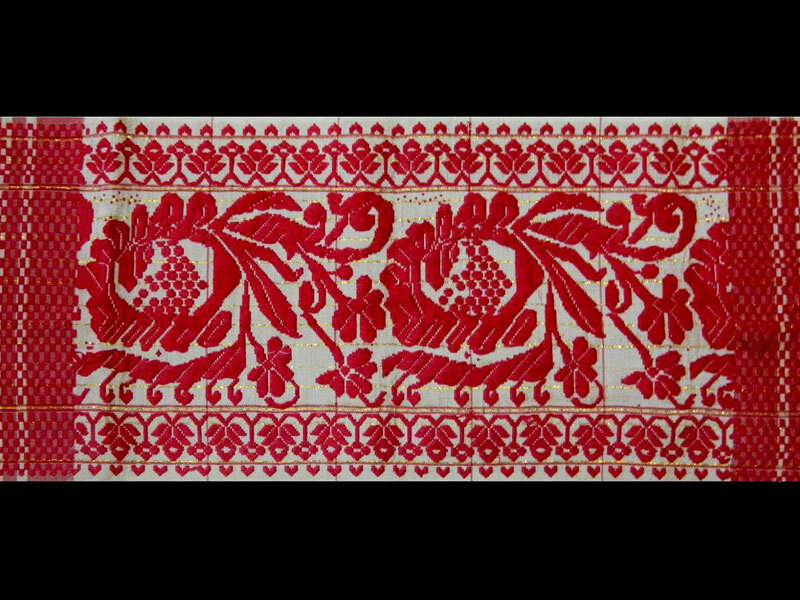 It is generally a white hand-woven piece of cloth of silk cotton(around 2 feet in width and 5 feet in length) with red woven patterns or motifs on two sides and red stripes on the long border. 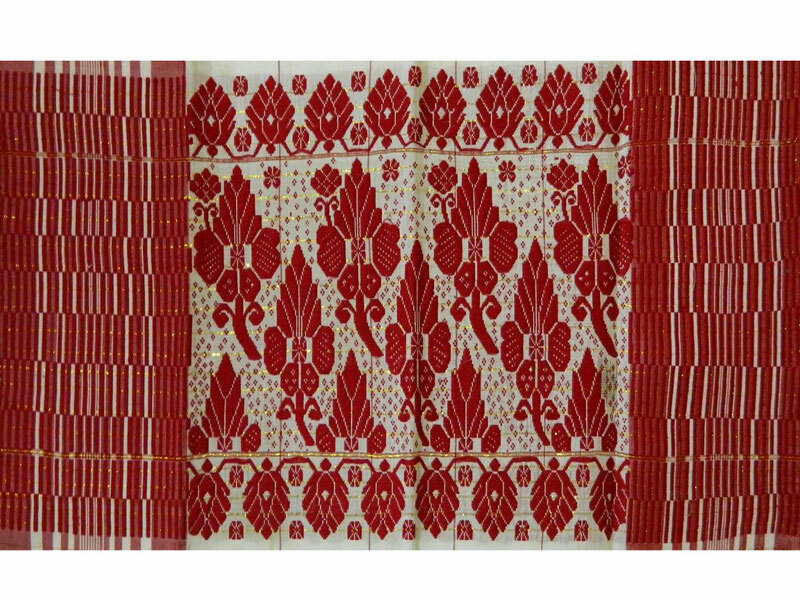 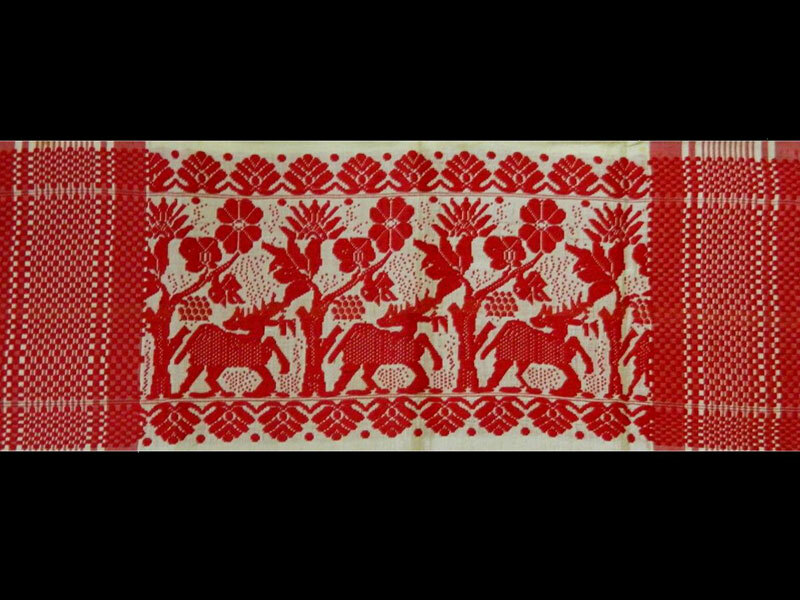 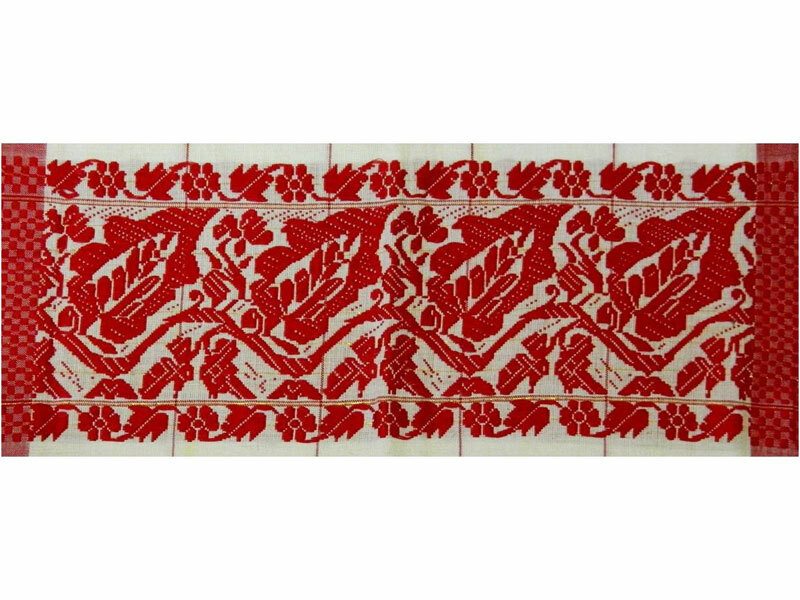 The patterns of gamusa are inspired by nature or assamese tradition. 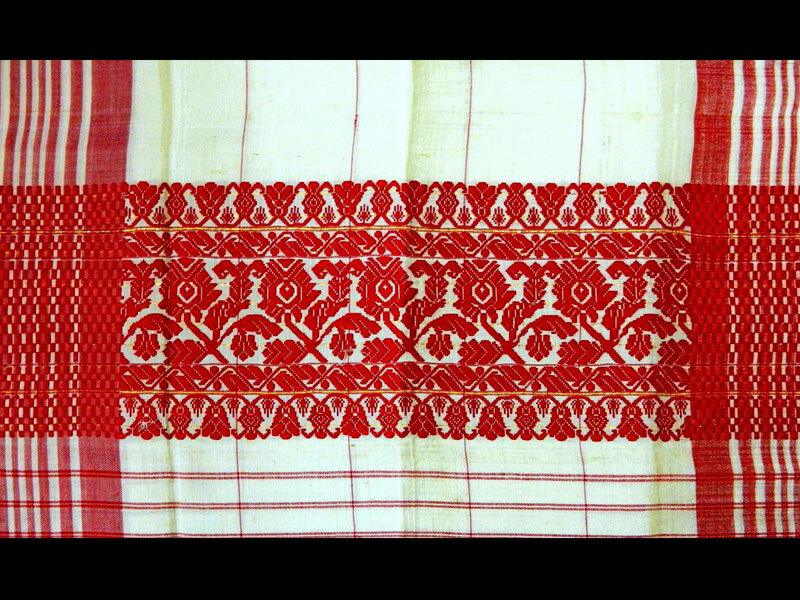 Gamusa is also known as "Bihuwan" as it is an essential part of assamese festival "Bihu"